If you are a user who has been restricted from using Connect, contact your Account/Team Owner to allow this permission. 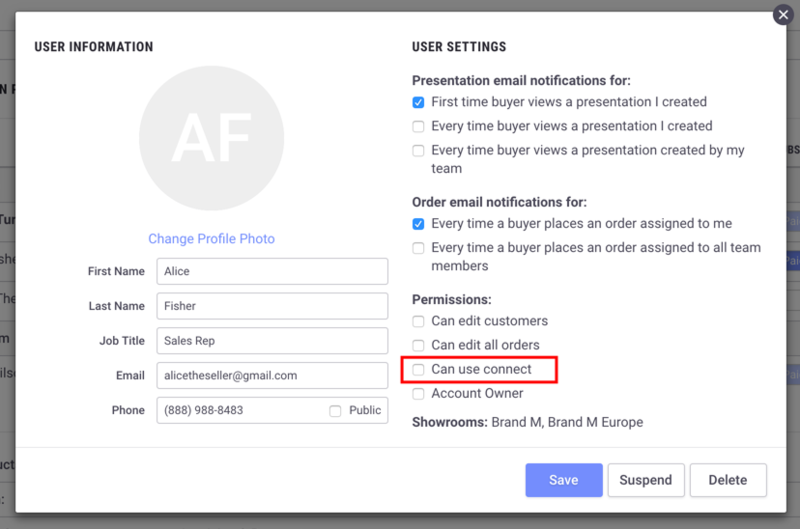 Only the Account/Team Owner can enable this checkbox under each Team member's User Settings and Notification Preferences. See Edit User Settings and Notification Preferences for more info.